When light hits a reflective surface, such as water, snow, even cars and buildings it can become polarised and form ‘blinding glare’ – visual noise that interferes with the real image. The results can be uncomfortable or even hazardous. Only polarised lenses block blinding glare, providing both visual comfort and safety. We’ve all experienced glare in our daily environment… perhaps spending the day at the beach or on a boat with the sun illuminating the surface of the water, or driving in a car with the sun reflecting off the dashboard, roadway or bonnet. Ordinary tinted sunglass lenses only cut down on ambient light that reaches the eye, or, light transmittance. By their very nature, they cannot block glare. Only polarised lenses can block out this dangerous, blinding glare. 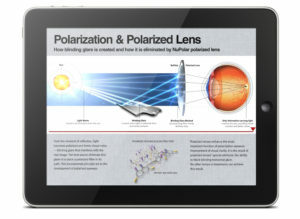 To understand how, you will need to understand how glare works and how polarised lenses work. Polarised lenses contain millions of parallel rows of tiny iodine crystals or dichroic dyes (so small they can’t be seen with the naked eye) that act in a manner similar to venetian blinds. Like venetian blinds, the horizontal rows of iodine crystals contained within the polarised lens block out horizontal polarised light waves, letting only (non-polarised) vertical light waves reach the eye. 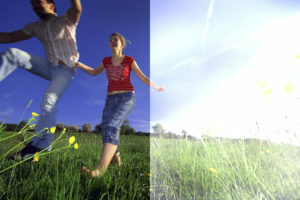 This results in comfortable vision with no glare, and is the reason why only a polarised lens can block glare. By combining the best properties from two of the most advanced technologies, NuPolar® polarisation and Transitions® photochromic, we created Drivewear®, the ultimate NuPolar product for driving. The lens is designed for comfort and safe driving as well as for overcast and bright light outdoors. Drivewear lenses are capable of sensing and reacting to varying light conditions both outside and behind the windscreen of a car. 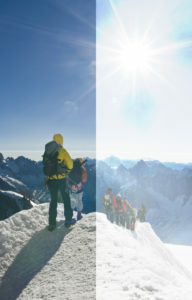 They provide glare protection through polarisation and enhance and protect vision through photochromics which are stimulated by both visible and UV light. NuPolar lenses perform better than the competition in many crucial tests of polarising efficiency, heat stability, film adhesion, colour stability etc. 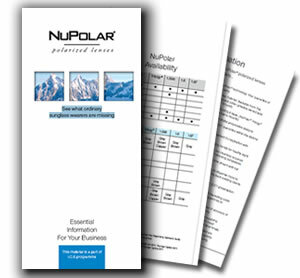 NuPolar lenses are available in more colours, styles and materials to fit your life than any other Rx polarised lens. A new generation of prescription sun-wear products. 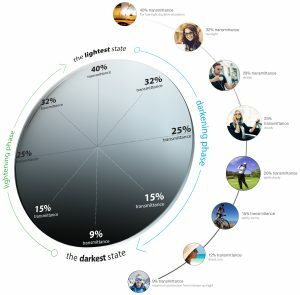 Combining the award-winning NuPolar polarisation technology with state-of-the art photochromic, NuPolar Infinite Grey addresses a very important aspect of adaptability of ophthalmic lens users to corrective sun lenses. 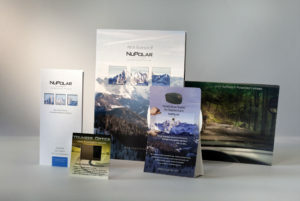 NuPolar Infinite Grey offers the widest possible range of light transmittance while maintaining 99% polarisation efficiency, therefore not compromising the blocking of blinding glare. In the lightest state, it has 35% light transmittance providing great vision in overcast weather or even indoors. When fully activated, lens transmittance goes down to the lowest permissible level reaching 9%. The level of activation depends on the intensity of light surrounding the wearer so lenses always adjust to the most comfortable transmittance level in each situation. The lens also allows application of functional AR or fashionable mirror coatings without any compromise of photochromic performance offering the wearers opportunity to use the most stylish sun-wear normally available only in non-corrective sunglasses.